Product prices and availability are accurate as of 2019-03-19 18:16:20 UTC and are subject to change. Any price and availability information displayed on http://www.amazon.com/ at the time of purchase will apply to the purchase of this product. 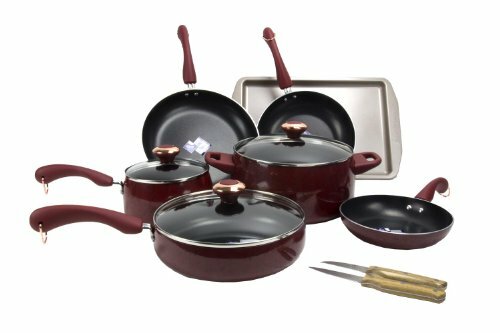 The charm and grace of the South are captured in the eye-pleasing color of this Paula Deen® Signature Collection Aluminum 17-Piece Cookware Set with Bakeware. 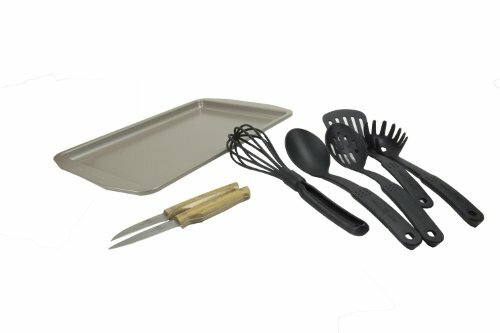 Every piece for today's kitchen is featured in durable aluminum construction that heats quickly and evenly. 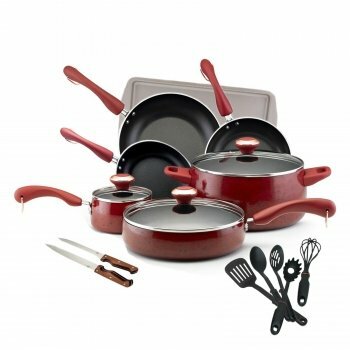 The cookware set's long-lasting nonstick interiors provide excellent food release in a satin ivory finish that offers a unique alternative to traditional black nonstick. Make breakfast in the skillets, cook up Paula's Onion Relish in one of the saucepans, and use the large stockpot for your family's favorite soups and stews. 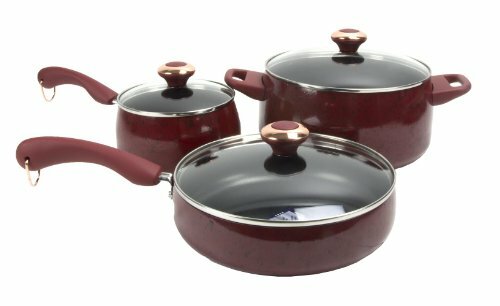 Contoured handles are dual riveted for additional strength and comfort, and glass lids allow cooking to be monitored without heat or moisture loss.